The typical usage of wool cloth is to provide an impeccable playing surface for billiards. 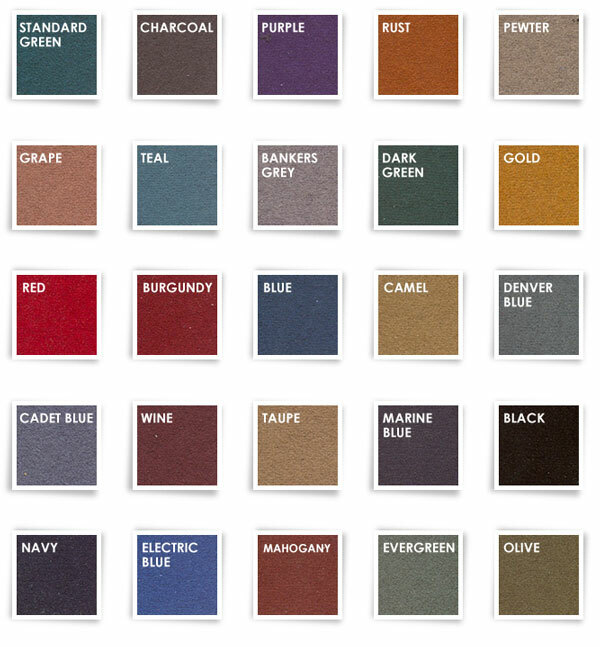 We offer a large selection of colored cloth for your convenience. You may also elect to have wool cloth as your layout of choice for your other tables as well. Applications include layouts for Texas Hold ‘em and our Round Poker Tables.